Angela attends ESOMAR 2018 in Berlin | The Market Intelligence Co. 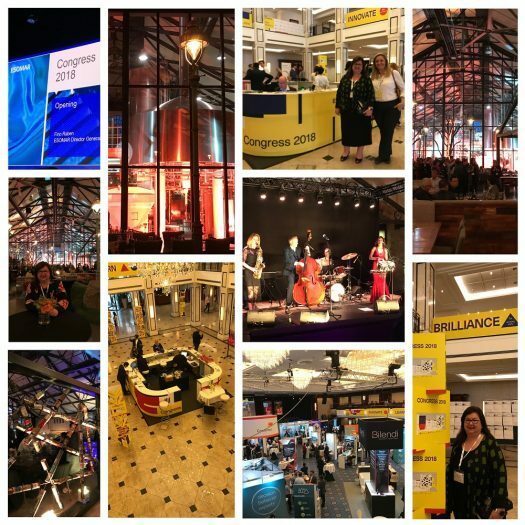 This year, Berlin was host to ESOMAR Congress 2018 and Angela had the opportunity to travel over to attend the exciting event. For those who may not know, ESOMAR is a membership organisation representing the interests of the data, research and insights profession at an international level. Angela has provided some observations below. – What’s an “intelligent layer” or how will the ‘VR Web’ impact our business? – Intelligence vs research – which is it? – But the key question for me, as practitioners, is how do we stay relevant and give our clients what they need in terms or research outputs, insights, etc. without compromising individual research participant privacy/confidentiality (for both B2B and consumer participants)? Some of the best presentations at Congress showcased projects which demonstrated how research learnings (outputs and insights) were used to be impactful and valuable. In most cases it was about research that’s meaningful at a micro, granular level so that it can also be linked and integrated eg. to a specific customer in their data base, CRM system, etc. The ability to customise to an individual level for many is very important to their marketing and strategy as the “one size fits all” approach no longer works or applies. On the other hand, there was a fair amount of time at Congress devoted to the GDPR (General Data Protection Regulation), especially in relation to primary data collection, handling and storage, use and presentation. So how do we balance the two and give our clients the granular level and individual insights in this ever-increasing de-identification privacy driven environment? No doubt this will be an ongoing industry issue. “The VR Web” (Construction of parallel worlds; not just for gaming).